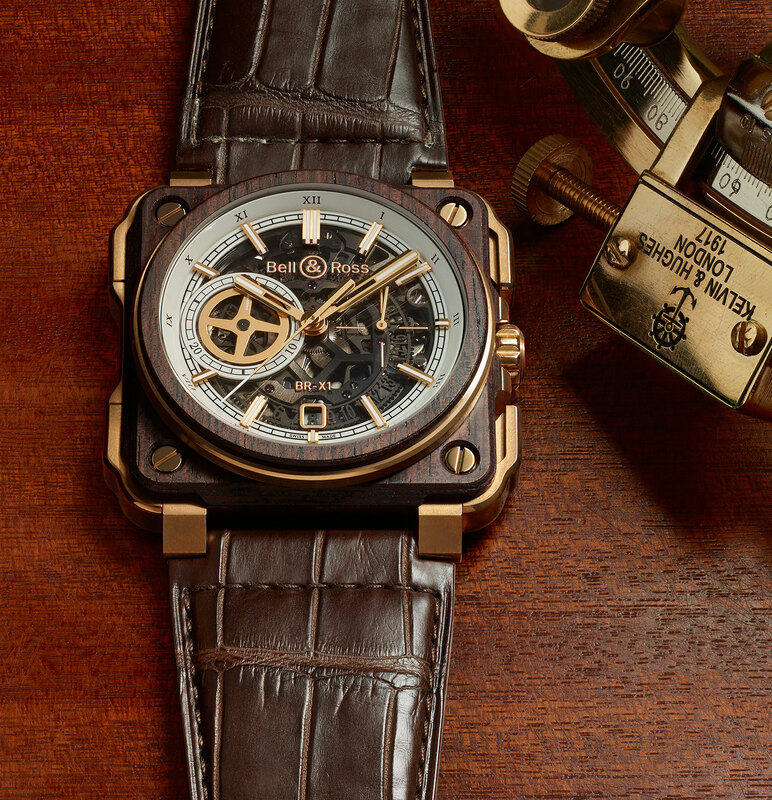 With its square case and stark dial inspired by aircraft cockpit instruments, the BR 01 is the signature wristwatch of Bell & Ross. But the Franco-Swiss watchmaker has long diversified away from pure aviation, with watches like the pirate’s treasure BR 01 tourbillon. The Marine Instrument collection is yet another trio of BR 01 watches that rely on naval history for their design, an admittedly incongruous theme for an aviation instrument. 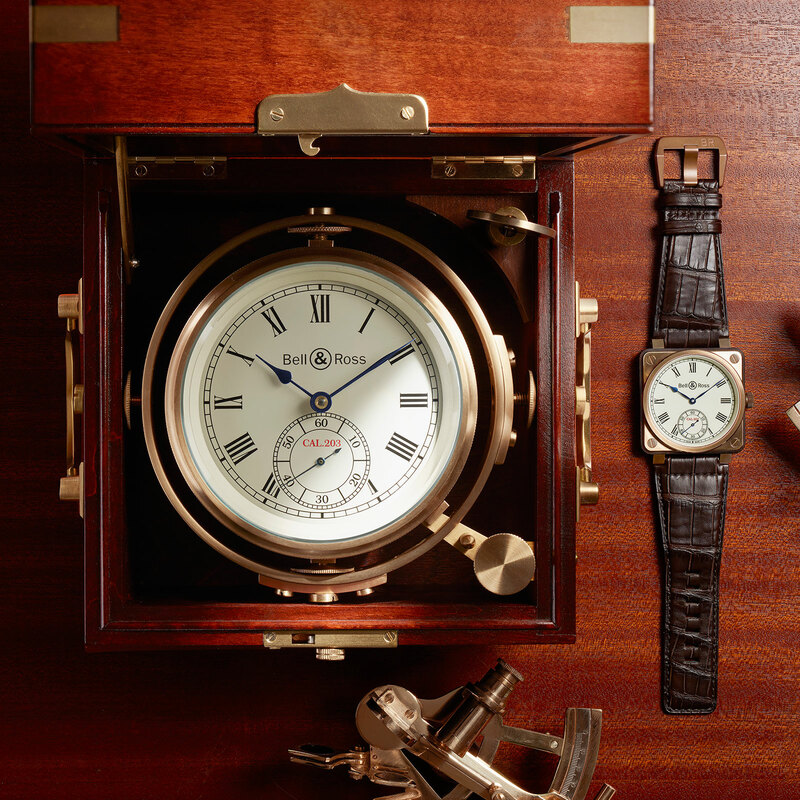 Characterised by Indian rosewood inlays and bronze cases (or rose gold for the top of the line model), the Marine Instrument timepieces are modelled on marine chronometers, the high precision naval clocks that had their heyday in the age of tall ships. The entry-level model is the BR 01 Instrument de Marine, a time-only hand-wind with a 46mm bronze case ringed with rosewood on the four sides of the case and with a titanium back. The dial is white lacquer with Roman numerals, a nod to the look of the typical marine chronometers. Visible from the case back, the BR-CAL.203 inside is actually a Unitas 6498 movement. The BR 01 Instrument de Marine (ref. BR01-CM-203) is limited to 500 pieces and priced at SFr8300 or S$13,000. The BR-X1 Skeleton Chronograph Instrument de Marine is a chronograph with a skeletonised movement, visible through the grey-tinted, translucent sapphire crystal dial. The case is 45mm in diameter, and made of bronze with the case back in titanium, as well as a rosewood bezel screwed onto the front. Inside is the BR-CAL.313, an automatic ETA-based movement. Limited to 99 pieces, the BR-X1 Skeleton Chronograph Instrument de Marine will cost SFr24,100 or S$37,700. The BR-X1 Tourbillon Chronograph Instrument de Marine is the top of the line model and limited to 20 pieces. 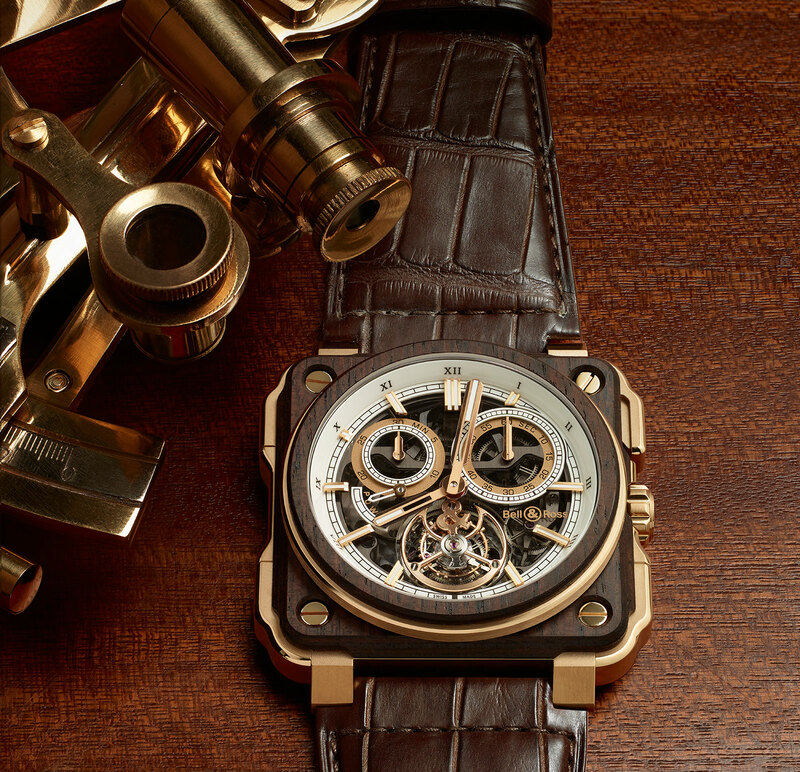 It’s a single-button chronograph with twin counters and a flying tourbillon. 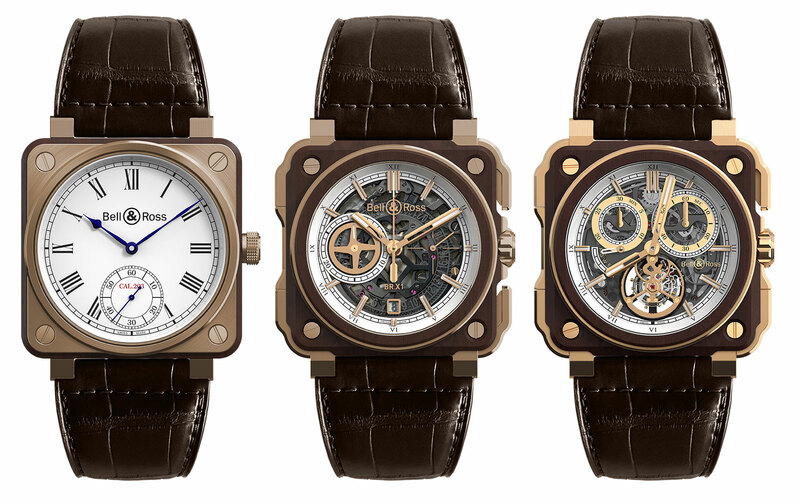 Stylistically similar to the skeleton chronograph above, the 45mm case is 18k rose gold instead of bronze, though it is also clad with a rosewood bezel. The dial is also grey tinted sapphire, revealing the skeletonised base plate below. The hand-wound movement inside was originally designed and produced by BNB Concept, a complications specialist that went bust and was acquired by Hublot in 2010. Now it is manufactured by MHC Manufacture Haute Complication, a firm founded by an alumnus of BNB Concept that produces many similar calibres. The BR-X1 Tourbillon Chronograph Instrument de Marine is a 20-piece limited edition, priced at SFr166,000 or S$230,900.